In developed countries people of different socioeconomic groups experience dramatic differences in healthy ageing, quality of life and life expectancy. The LIFEPATH project focus on the idea of healthy ageing for all and will work to provide relevant and innovative evidence to underpin future policies and strategies for the promotion of healthy ageing, targeted disease prevention and clinical interventions that address the issue of social disparities in ageing and the social determinants of health. The project team hope to show that healthy ageing is an achievable goal for society, as it is already experienced by individuals of high socio-economic status. They also aim to improve the understanding of the mechanisms through which healthy ageing pathways diverge by socio-economic status and to examine the consequences of the current economic recession on health and biology of ageing. LIFEPATH will use an innovative study design that will bring together three areas of research that have been developed separately for a long time: population-based health sciences; omics-biomarker technologies; and social sciences. The project will make use of existing population studies across Europe as for instance the Portuguese Cohorts – EPIPorto, EPITeen and Geração XXI. 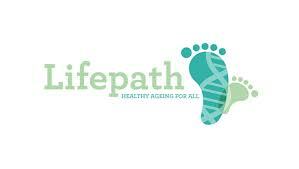 The LIFEPATH project is a collaboration of leading institutions in Europe, USA and Australia. It brings together experts in the field of study who are committed to the successful completion of the project.